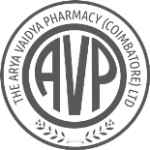 AVP Research Foundation began its activities at the Ayurvedic Trust Campus, Coimbatore in 2003 by the name “AVT Institute for Advanced Research” (AVTAR). In the span of ten years, AVP Research Foundation, formerly known as AVTAR has positioned itself into a pioneering research organisation in the field of Ayurveda. 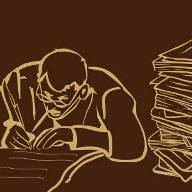 AVP Research Foundation is a company incorporated under section 25 of the Companies Act 1956. Glimpses of the activities in the last ten years are listed below. In 2003, the National Institues of Health, USA awarded a Grant through the University of Washington, Seattle to conduct a clinical trial comparing the efficacy and safety of classical Ayurvedic treatment and standard Allopathic treatment for rheumatoid arthritis. The outcomes of this study was published in leading research journals like Annals of Rheumatic Diseases and Journal of Clinical Rheumatology. The study was also recommended as a blue print for future studies on Complementary and Alternative Medicine (CAM) by Dr. Edzard Ernst, a vehement critic of CAM. The paper published in JCR also won the prestigious European Society of Integrative Medicine “Award for Excellence in Integrative Medicine Research”. 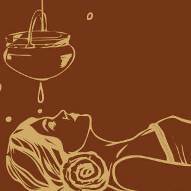 This is a major step for recognition of Ayurveda in Europe. Since 2003, major effort has been taken to document living practices and traditions of Ayurveda in Kerala and video archives have been compiled. Important medical manuscripts in the collections of the Calicut University have been digitised. In 2005, the Department of AYUSH facilitated the implementation of the RUDRA (Random Uninterrupted Documentation for Retrospective Analysis) program with software support for reporting outcomes of clinical practice in National Institutes of Ayurveda. It is currently implemented in eight Ayurvedic institutions including National Institute of Ayurveda, Jaipur and Institute of Post Graduate Training and Research, Jamnagar. Several software tools for clinical documentation, formulation searches and prescription have been released. In 2008, the Coconut Development Board awarded a grant to develop medicinal formulations based on coconut oil. An anti-hyperlipidemic formulation extracted in coconut oil has been developed and successfully tested in rats. The oil has also demonstrated significant anti-oxidant activity as well preventive and curative effect on hyperlipidemia in rats. In 2010, the first ever comprehensive online database and search tool for research articles published in the field of Ayurveda was launched known as DHARA (Digital Helpline for Ayurveda Research Articles) with funding from Central Council for Research in Ayurvedic Sciences. 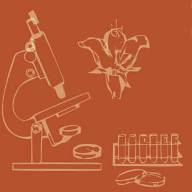 DHARA now includes free online access to classical Ayurveda texts. Since 2011, the innovative educational program for reorienting students and practitioners in intense text based practical learning of Ayurveda is being conducted successfully. Partnerships have been established with international institutions of Ayurveda for cooperation in research and education. AVPRF is now recognised by Government of India as a Scientific and Industrial Research Organisation. The research activities of AVPRF led to award of Center of Excellence Grant to Ayurvedic Trust in the field of rheumatology in Ayurveda.